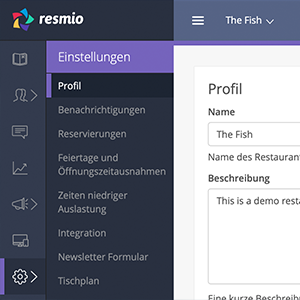 On this page you will find all frequently asked questions and answers regarding integrating or using resmio. How do I register with resmio? Do I need a website to use resmio? How do I log in to resmio? 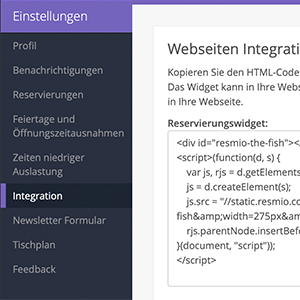 How do I integrate my resmio widget? 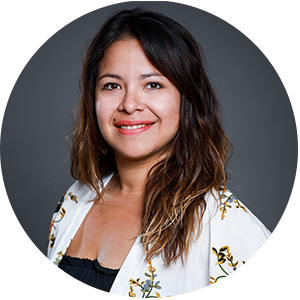 How do I import customer information? 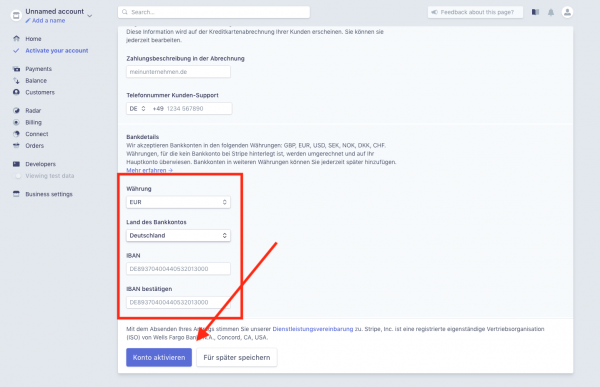 How can I measure reservations through my FacebookAds campaigns? 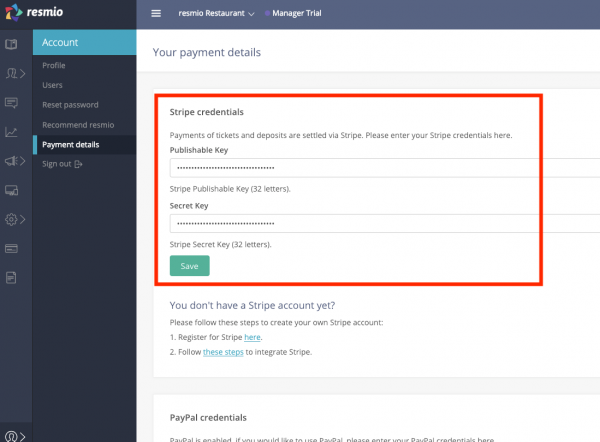 How can I integrate stripe into resmio? How can I integrate PayPal into resmio? 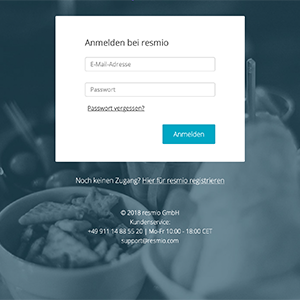 Registering with resmio is really easy. First, click on the key TRY NOW. You will be redirected to our registration page on which you just have to enter your email address, the name of your establishment, as well as its physical address. 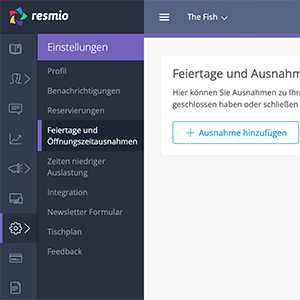 After registration, you have immediate access to resmio and can take your time exploring our features. Also check your mailbox! 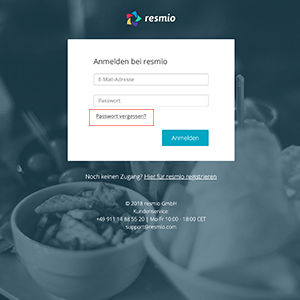 There you should find an email from resmio with instructions on how to create your password. Just follow the instructions in the email. 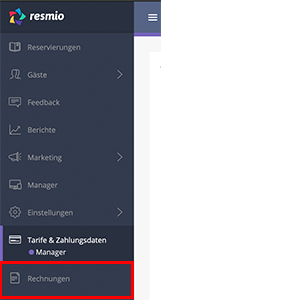 Your own website is ideal but not required if you just want to use resmio via Facebook, for example. 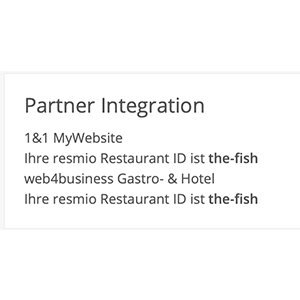 We recommend that customers also integrate resmio on their own website since it is the ideal location where guests look for information about your restaurant, bar, or café. 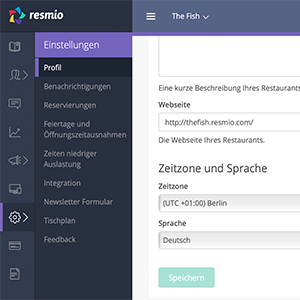 If you don’t already have your own website, you can create one for free via resmio. Here you will learn more. It’s very easy! In the resmio menu bar, click on the key Registration. 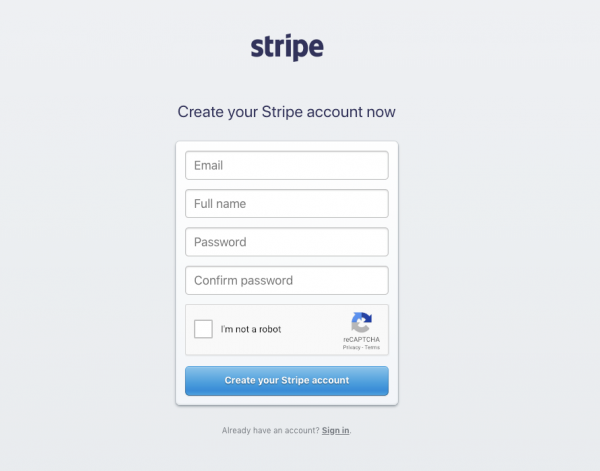 If you have already saved your login information, you will be automatically directed to the user interface. If you have not saved your login information, a login page will appear on which you need to enter your user name and personal password. If you don’t remember your password, simply click on the link “Forgot your password”? 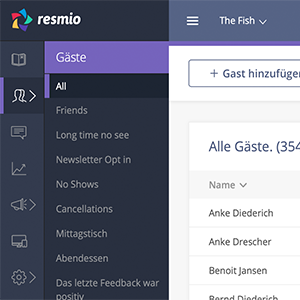 We recommend that you save your access information in your browser and mark the resmio user interface as a favorite. If you don’t remember your password, simply click on the link “Forgot your password?” and we will send a new password to your email address. 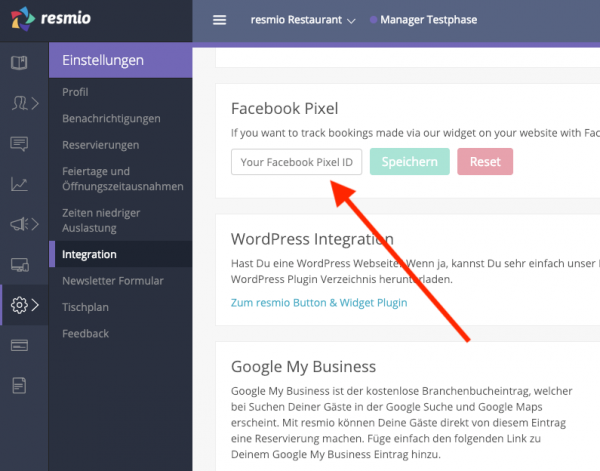 You can integrate resmio on any website, but also with Facebook or Google My Business. Setup rarely takes more than 5 minutes. 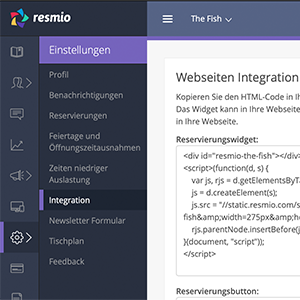 If you are familiar with HTML, log in directly to the resmio WebApp. There you will find the tag under “Settings” > “Integration”. Did you acquire customer contacts already prior to using resmio? Then you can easily integrate them into our system. Open your list of contacts in Microsoft Excel, Google Tables or another spreadsheet program. Now save your contacts as a “.csv” file. 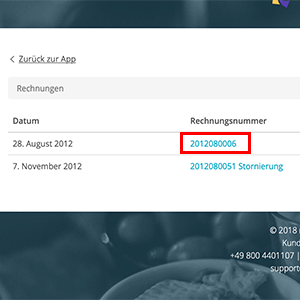 Now you can upload your existing contacts and send your newsletter to all guests if you would like. 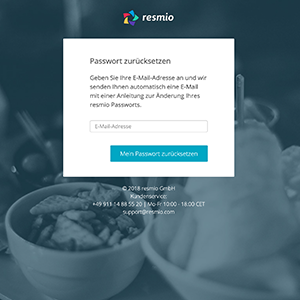 If you have any questions, please contact our Support at telephone +49 (0) 911 14885520 or via email at support@resmio.com. Now your Facebook pixel is connected to our widget. 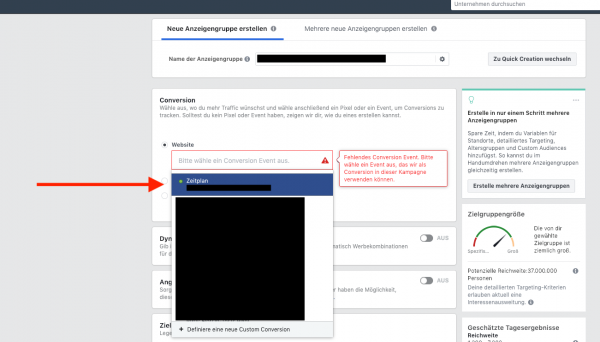 In order to see your generated reservations in the Facebook Ads Manager, all you need to do is select the “Schedule” event under the campaign settings as a conversion. You will then see the generated reservations under the “Results” column in your Facebook Ad Manager. Stripe is available in these countries and currencies. 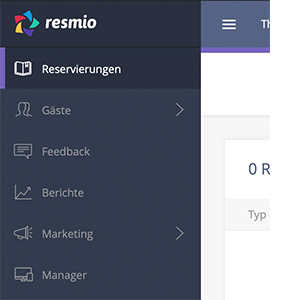 If you have any questions, please contact our support at +49 (0) 911 14885520 or by e-mail at support@resmio.com. Where can I change my operating hours? 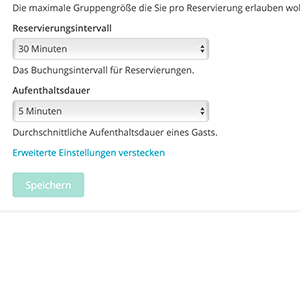 How do I modify my reservation times and capacities? 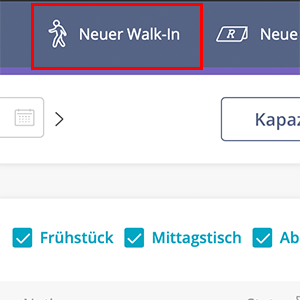 How do I enter a walk-in? My restaurant is booked solid - now what? How do I avoid overbooking? 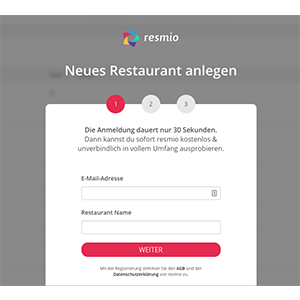 What is the process of making an online reservation with resmio? Do I have to confirm my reservations again? 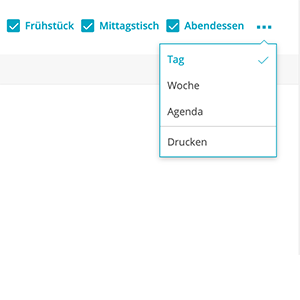 How do I print my agenda? You can enter your operating hours yourself and change them anytime. 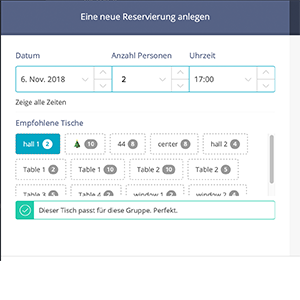 Here you can enter your operating hours for different days of the week and also the number of seats you want to make available. Make sure your times do not overlap. 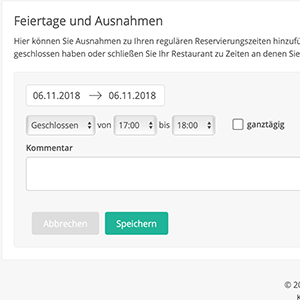 If you entered that your restaurant is open Mon-Sun from 10:00 am to 8:00 pm, it is not possible to make an exception for Wed from 3:00 pm to 8:00 pm, for example. Wednesday is then double booked and that does not work. Mon, Tues, Thurs, Fri, Sat, Sun 10:00 am to 8:00 pm; Wed 3:00 pm to 8:00 pm. Did everything work out? Review your operating hours in your widget. This you will find under “Settings“ and “Integration”. Here, you can set your reservation times and capacities for every day of the week. Please note that the capacity you set always refers to the reservation interval you determined (*). 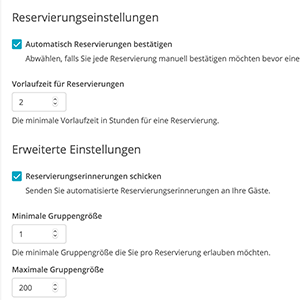 (*) You can determine the reservation interval under “Settings” > “Reservations” > “Advanced Settings”. Reservations are available at 30-minute intervals (12:00 pm, 12:30 pm, 1:00 pm, etc.) and thus 10 seats are available for online booking every half hour. 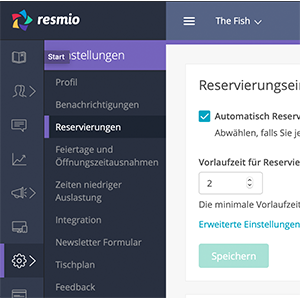 In your resmio account, in the menu on the right, click on “Reservations“. A new window opens in which you can enter now enter a reservation. Select the date on which you no longer have capacity. The selected times are now displayed in grayscale to guests and they can no longer select them. If you want to block an entire day, please select the ties from 12:00 am to 23:45 pm. To avoid overbooking, you need to select the right settings. First, determine your operating hours and capacities under “Settings” and “Profile“. Here, you can determine exactly how many seats you want to make available online. Under “Settings” >„Reservations” > “Reservation Settings” >”Advanced Settings“, you can further refine your operating hours. 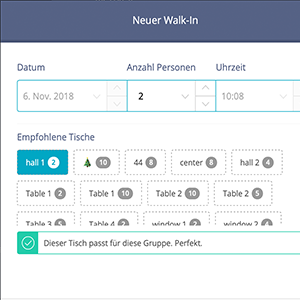 Determine the duration of stay of the guests so the system knows how long the reserved seats are occupied. You can also set a lead time for reservations so you can get ready for your guests. Also entering reservations made by phone into the resmio online reservation ledger helps you avoid overbooking. That way you can stay on top of things. If guests want to make a reservation with you, they can do so directly on your website or Facebook page, for example. 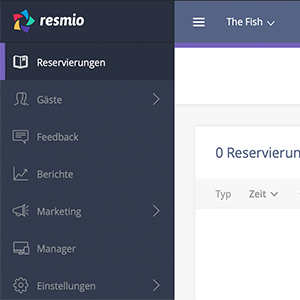 For your website, insert the resmio reservation widget in a prominent location. Via the widget, they can select the day, time, and number of people on their own . After they have submitted the reservation, you are immediately notified via text or email. Simultaneously, your guests automatically receive a confirmation of the reservation via email. 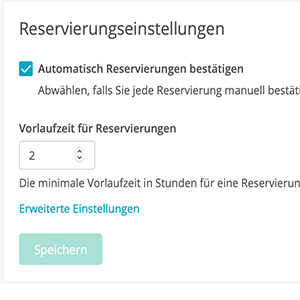 You can find the new reservations easily in your online reservation ledger. 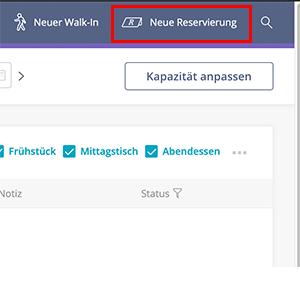 If the option “Send reservation reminder ” is activated, your guests additionally receive a reminder email one day prior to their visit. 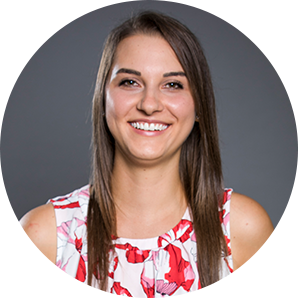 If the feedback function is activated, they will receive a feedback request via email after their visit in which they can rate your food and service. You can review the results of all feedback in your account under “Feedback”. If you want, that’s possible. 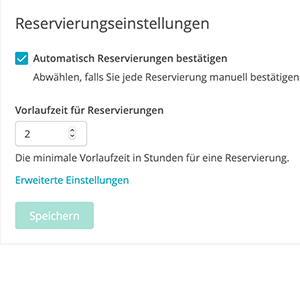 If you selected the setting “confirm reservation automatically” , your guest will automatically receive a reservation confirmation. You will be notified via text or email, but don’t need to do anything further. If you have deactivated the automatic confirmation feature, you will receive notification of the reservation and can confirm it or decline it via a link in the email. Only at that time will your guest receive a confirmation or declination of the reservation. 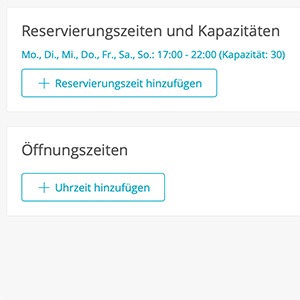 In the menu on the left > click on the first menu item “Reservations“. Where do I find my partner ID? A new tab opens in your browser that displays the invoice as a PDF. You can now download or print the invoice. We didn’t answer your question? During weekdays, we respond to emails within 24 hours. If you contact us on weekends, we will respond on Monday. Click on the symbol above or send an email to support@resmio.com. Our support chat is available Monday through Friday, 9:00 am to 6:00 pm (CET). Click on the green symbol at the bottom of the right margin if you want to chat with us. You can also reach us by phone. You can reach the support team directly at telephone number +49 (0)911 14885520. Monday through Friday, 9:00 am to 6:00 pm.